NGA Images is a repository of digital images of the collections of the National Gallery of Art. On this website you can search, browse, share, and download images. A standards-based reproduction guide and a help section provide advice for both novices and experts. More than 45,000 open access digital images up to 4000 pixels each are available free of charge for download and use (mostly public domain). NGA Images is designed to facilitate learning, enrichment, enjoyment, and exploration. 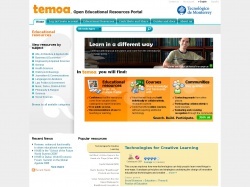 Temoa is a knowledge hub that curates a public and multilingual catalog of Open Educational Resources (OER) which aims to support the education community to find those resources and materials that meet their needs for teaching and learning through a specialized and collaborative search system and social tools. It contains selected educational resources, described and evaluated by an academic community. Resources categorized by area of knowledge, educational level and language, among others. Provides a friendly search engine through intuitive filters. 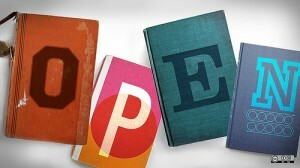 Allows the creation of communities around educational resources. Jorum is a Jisc funded Service in Development in UK Further and Higher Education, to collect and share Open Educational Resources (OER), allowing their reuse and repurposing. Our free online repository service forms a key part of the Jisc Information Environment, and is part of the wider landscape of repositories being developed institutionally, locally, regionally or across subject areas. It is the first point of call for 1000’s of resources, all shared by those who teach or have been inspired in the FE and HE community.